Already widowed by the age of forty, Ilka Nichols Jensen, a school portrait photographer, leads a modest, regimented, and uneventful life in Copenhagen. Until unexpected news rocks her quiet existence: Her father–who walked out suddenly and inexplicably on the family more than three decades ago–has died. And he’s left her something in his will: his funeral home. In Racine, Wisconsin. Clinging to this last shred of communication from the father she hasn’t heard from since childhood, Ilka makes an uncharacteristically rash decision and jumps on a plane to Wisconsin. Desperate for a connection to the parent she never really knew, she plans to visit the funeral home and go through her father’s things–hoping for some insight into his new life in America–before preparing the business for a quick sale. 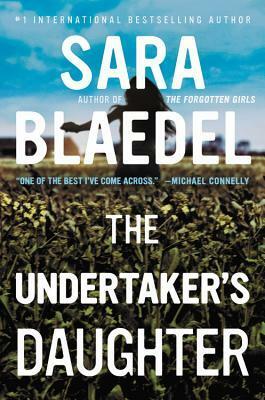 But when she stumbles on an unsolved murder, and a killer who seems to still be very much alive, the undertaker’s daughter realizes she might be in over her head . . .
Blaedel introduces us to a new character, Ilke Jensen, living in Denmark, keeping up with her late husband’s school photography business. A young widow, whose father left for America early on leaving her mother to handle the funeral business he ran. When she must go to America when he dies to handle his affairs, she discovers he was also in the funeral business in Racine, Wisconsin. Now she must clear his debts and decide if she will sell or not. And it is obvious her step-mother and half sisters want nothing to do with the funeral home or her. And when the dead won’t stay where they belong, the mystery deepens. With no one to trust or lean on and in a foreign country as well, Ilke is having second thoughts on even being in the U.S. This should be a good new series. Ilke is straightforward. To the point. I like that. Now I have to wait for the next one. And there most certainly will be a next one!